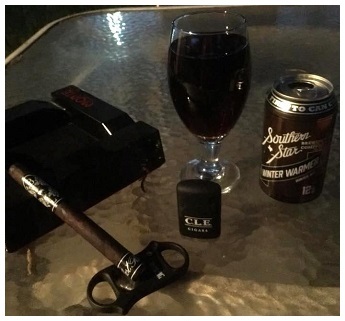 For the experienced premium cigar smoker (as well as anyone just discovering the enjoyment of hand-rolled tobacco), figuring out what to drink while relaxing with a good smoke is important. Pairing a cigar with a beer is initially a fairly easy thing. Lighter bodied cigars are best accompanied by lighter bodied beers, and so on through the flavor intensity spectrum. But craft brewers have pushed the envelope to create very different and, in some cases, truly astounding beers and ales. Not to be outdone, cigar manufacturers are constantly modifying their blends to create different profiles within their cigar lines. Getting a truly outstanding pairing can therefore represent a bit of a gamble. Still, it’s very rewarding when you find the perfect pairing. This edition of A Rich Pour focuses on a dry red wine with a rather long title – Domaine Lafage Cuvée Nicolas Grenache Noir Vieilles Vignes, Côtes Catalanes 2014. Fortunately for the consumer, the wine is as substantial a mouthful as its name. The Cuvée Nicolas is pure Grenache Noir, and comes from the Aspres region of southeastern France, located approximately halfway between Grenoble and Marseille. The vineyards lie in poor soil at some four hundred meters of altitude, and are surrounded by scrubland. For the northern-clime residents among us who are, as yet, dealing with snow and cold, the thought of food and wine of the warming sort is, well, a comforting one. And given the vagaries of El Niño this year, we’re not alone. When it comes to winter wines, reds rule. I’m a big fan of the dry red wines from Spain, as I find they often offer tremendous quality at relatively modest cost. 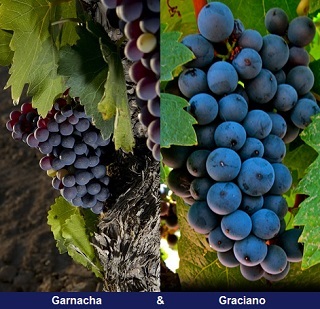 Garnacha and Graciano may not be the most widely planted red grape varieties in Spain, but they’ve certainly gained in stature of late – not the least because of the resurrection of old vineyards and the efforts of a few pioneering winegrowers.